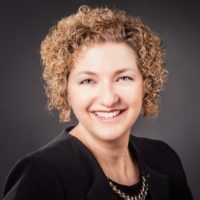 Erin Sedor has more than 26 years-experience as a risk professional and strategy leader with an exceptional track record of developing and executing strategic initiatives to drive profitability within complex environments. She has had outstanding success during her career accurately identifying and capitalizing on opportunities for increased growth, streamlining, and cost reduction for the organizations she supports. Employing industry markers, operational insight and risk-reward analytics, she provides critical support for key decisions on expansion and contraction efforts across an impressive range of industries. She supports AKI as we continue to forge relationships and build business within cutting edge technology industries with a particular focus on operational risk analysis and mitigation strategy design. Erin holds a MBA in Operational Risk Management and Bachelor degrees in both Organizational Management and Finance.